I just have to share this concept. Last week, ‘The Ned Show’ came to my son’s school. I have never come across this show before and I must admit, I had my reservations. To say the very least, I was totally blown away by the whole show, it was truly amazing. Our US Members have probably heard about the show as it is based in the US, but they must travel regularly. The whole show is based around the concept of being Champions in life. They integrate fun stories about the character NED and yo-yo tricks to get the message across. 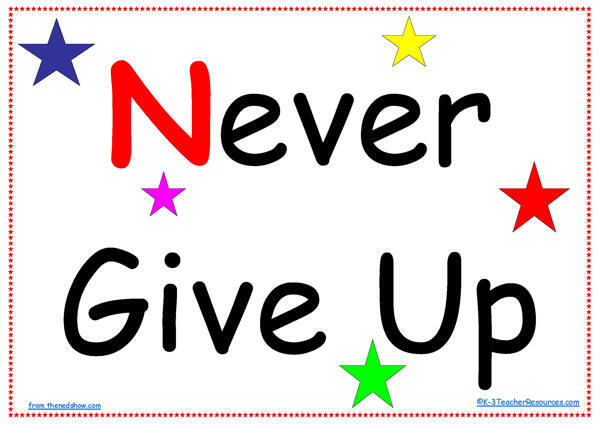 The acronym NED is used, standing for ‘Never Give Up’, ‘Encourage Others’, ‘Do Your Best’. Tim, the star of our show, worked the children brilliantly. He had their full attention and the NED concept was reinforced in a totally unforgettable and educationally sound way. By the end of the show, I am sure each and every child was determined to Never Give Up, Encourage Others and Do Their Best. And you know what SO AM I……. If you get the chance to have them come to your school, please encourage it, as it is really worthwhile. I have made up some ‘Ned Champion Charts’, which I thought would be fantastic as for classroom motivation as ‘Our Class Motto‘ Charts, or similar – great to encourage self esteem in the classroom. I have also put them up in my children’s rooms! We also had the NED Show at our school this year. The best assembly all year! The kids loved it and still play with their yo yo’s.